PadiAct helps you get more email leads and subscribers into your MailUp account. Just configure a few settings in the friendly Padiact admin tools (MailUp is “built-in”), target the right visitors using a variety of engagement rules (e.g. how many pages they have seen), and choose a cool pop-up to display to Web site visitors when those rules are matched. 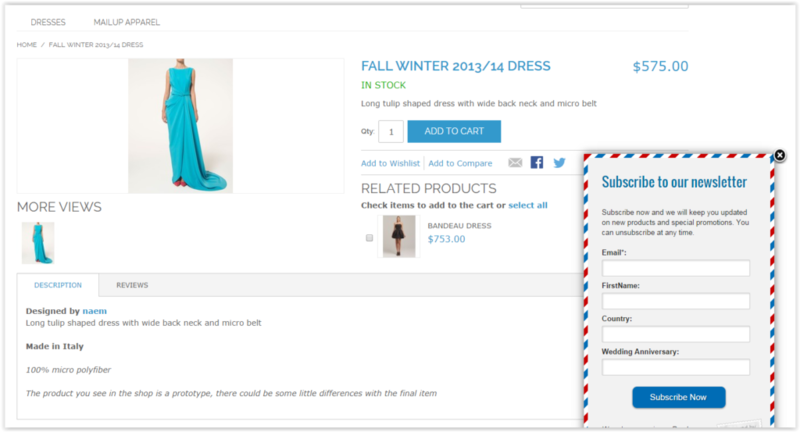 The pop-up window will capture your visitors’ attention and turn them into subscribers. And it’s free to start!